Meet New Friends for Life ! 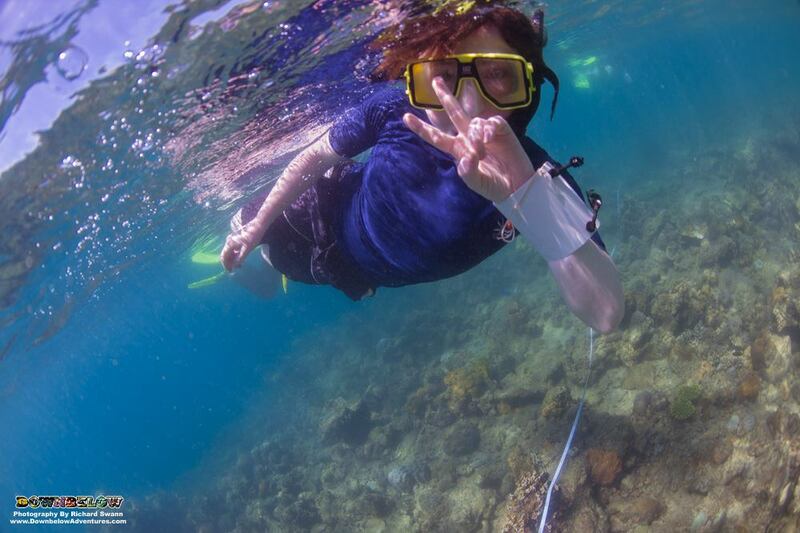 Schools and universities from all over the world visit Kota Kinabalu and Sabah, to learn more about the amazing natural beauty to be found in Borneo, through a variety of educational adventure activities and once-in-a-lifetime experiences! Many university groups have chosen to visit us for our expertise in marine field trips as part of their Bachelor & Masters Degrees. We have many years of experience in this field where we work together with the professors and lecturers of the educational facility and teach students the skills required for marine science. 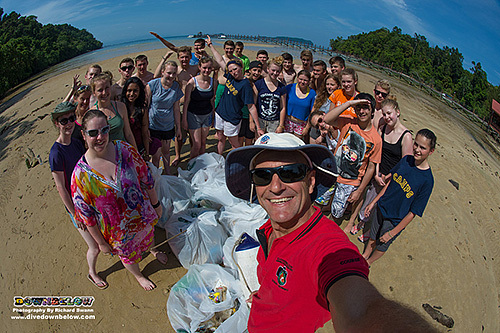 Other schools and universities have other interests for their studies ranging from eco-tourism to marine conservation which will contribute to their overall grades at college or university. Other groups will be focused on just having lots of fun & expanding their comfort zones! 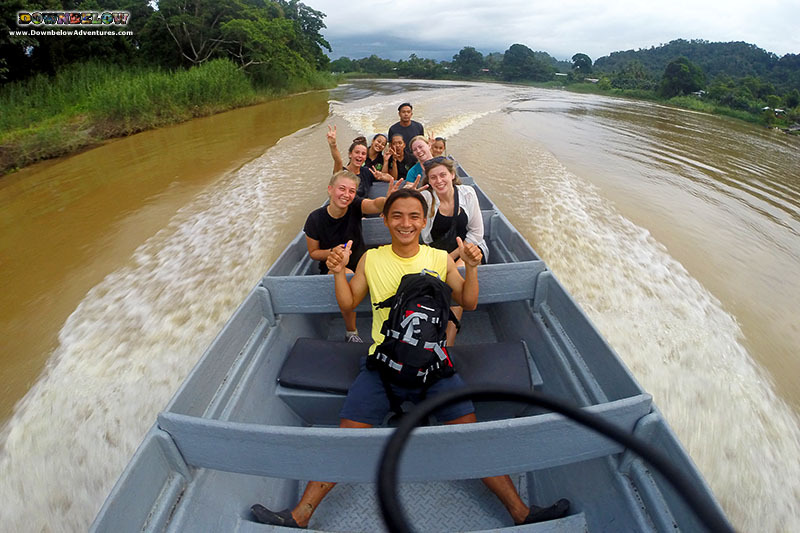 But whatever the objective of their group travel, our programs will incorporate the importance of ecotourism within our operations for the benefit of our natural local environment! 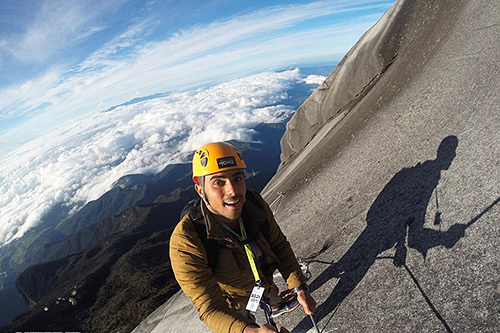 More Adventurous Groups Coming to Sabah, Borneo Soon! Stay tuned for more Groups in Sabah, Borneo! The group of marine biology students go through marine survey training in Tunku Abdul Rahman Marine Park. Exploring the Ocean with Downbelow! 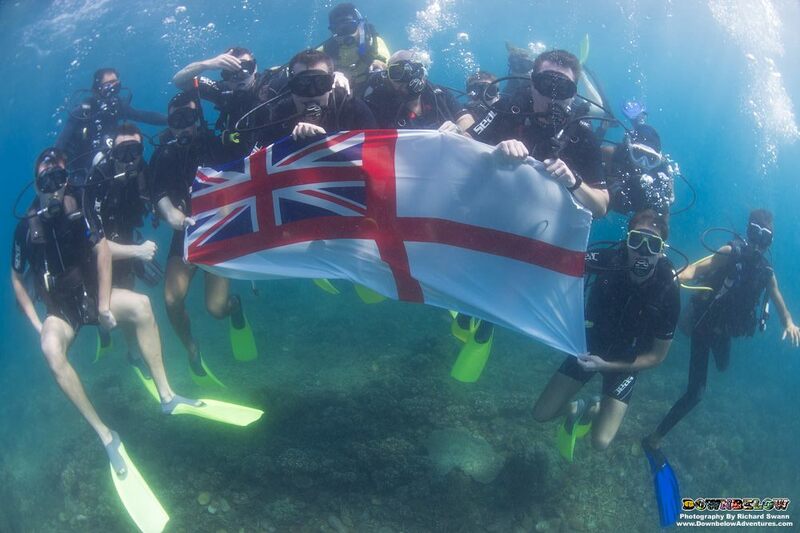 HMS Argyll visit Kota Kinabalu and Downbelow Adventures and went scuba diving at Downbelow PADI 5 Star CDC Dive Centre. 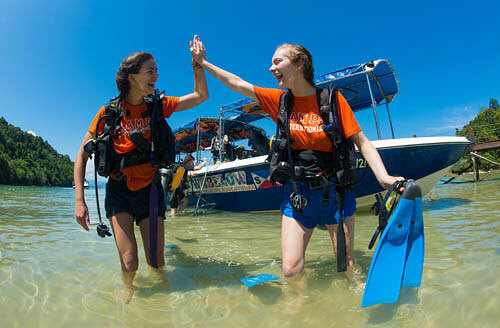 Choosing where to complete your professional scuba diving internship is the most important decision of your professional diving career. It doesn’t get any better than Downbelow! They planned our entire 2 week stay in Borneo, we didn’t have to lift a finger. 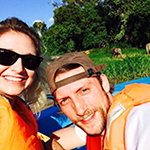 We saw everything you can imagine; Pygmy Elephants, Orang Utans, Proboscis Monkeys, Crocodiles, Horn bills!They know all the best local spots and really take care of you which is so important when traveling somewhere new! 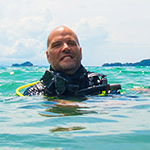 I spent a month with Dive DownBelow studying to be a PADI Open Water Instructor. Great location (near markets, shops and cafes), professional staff and a fun experience all round. During the past 15 years the company has established itself as a leading conservation and education provider locally and on the international platform. 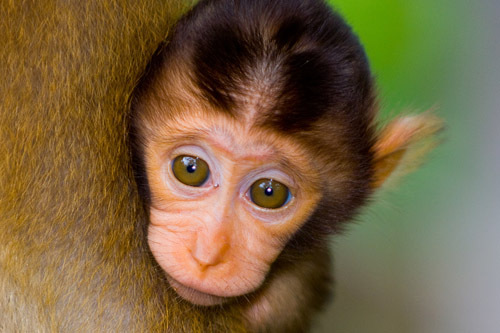 At Downbelow we are committed to responsible tourism. We design experiences and provide courses that foster appreciation, awareness and conservation of our environment and development of local people. In the course of this labour of love, our effort has been acknowledged by various publications and awards. To date, Ghost Net Removals, Underwater and Beach Clean Ups, Coral for Life, Tree for Life & Project Aware remain a large focus of our day to day life Downbelow!